The story of Maman is the fascinating life's journey of a faithful, steadfast, and purposeful Jewish-Iranian mother. 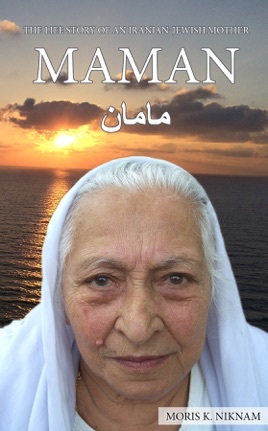 Married at a very young age, Maman raised seven children through poverty and severe Iranian political upheaval. Her unfailing faith in God and her love for her homeland, Iran, gave her strength to provide the best memories for her family, even during difficult times. The story of Maman gives a powerful perspective on life for anyone raising children through life's many trials. Maman is the Persian word for Mama.